Studio/Run Time: Criterion Collection, 83 min. “I… is someone else,” confesses Nana (Anna Karina) during a police inquiry, echoing the century-old sentiment of French poet Arthur Rimbaud. In the next scene, she transforms from a meek record store clerk with suffocating debt and a child that she (and the audience) never sees, to a prostitute with a new set of problems. 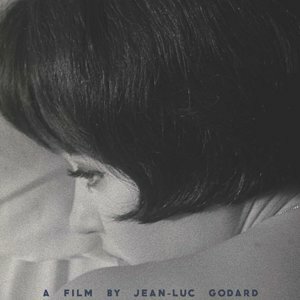 The 1961 film is classic Godard in its exploration of the economics of pleasure, a topic he’d investigate again in 1967’s more agitprop 2 or 3 Things I Know About Her. After A Woman is a Woman, his previous kaleidoscopic musical with Karina, this is a more downbeat flick: moody, sparse, noir-ish. The camera feels withdrawn, relying on back-of-the-head shots and mirrored surfaces to capture Nana’s conflicted state. With his insouciant and jarring pop-and-pinball films still to come, this resonant picture remains a singular entry in Godard’s oeuvre.